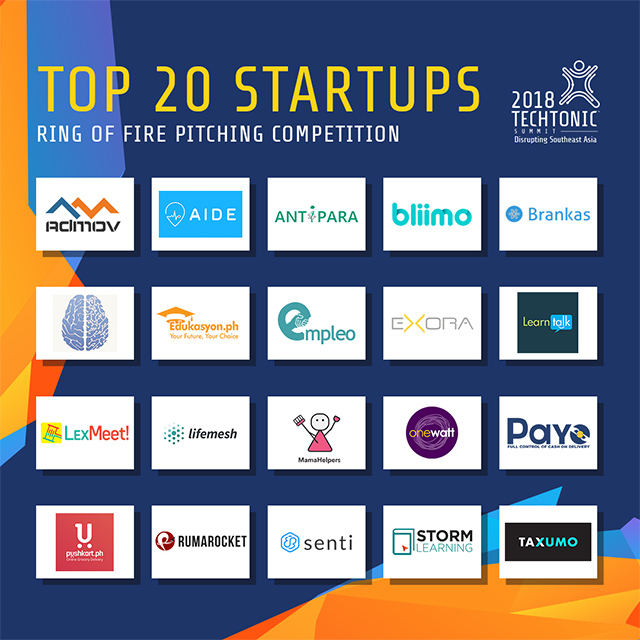 Organizers of Techtonic Summit 2018, the Philippines’ biggest tech conference, have announced the selection of 20 finalists for the “Ring of Fire” pitching competition, one of the highlights of the two-day event happening on June 22 to 23, 2018 at the SMX Convention Center in Pasay City. 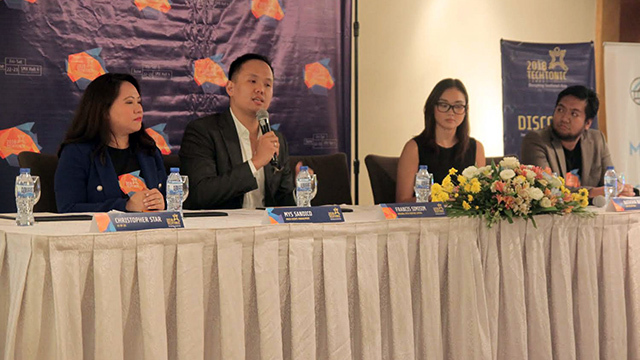 Organized by QBO Innovation Hub, a public-private partnership that supports startups in the country, the pitching contest gives participants the chance to win a prize of $10,000, exclusive mentorship and an opportunity to be exposed to top technologies and market opportunities in Southeast Asia. Twenty startups have been shortlisted for the competition, QBO announced in a press conference on June 6. They all get premier booth areas as startup exhibitors in the summit. They also get VIP access to all closed-door events, including an exclusive business matching program and investors’ dinner. The finalists are AdMov, AIDE, Antipara Exploration, Bliimo, Brankas, Cognicept, Edukasyon.ph, Empleo, Exora Technologies, Learntalk Ltd., LexMeet Inc., LifeMesh, MamaHelpers Technologies, OneWatt, Payo, Pushkart.ph, Rumarocket Ltd. Inc., Senti TechLabs Inc., STORM Learning Inc. and Taxumo. Local online job matching platform ServeHappy Jobs won the title and grand prize in the 2017 Techtonic Summit. “It was really a pivotal moment that validated the impact and relevance of our startup. 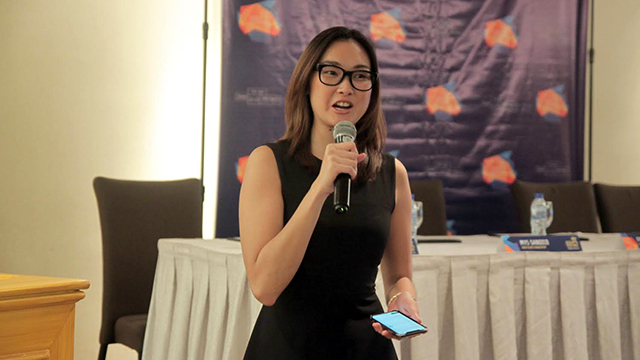 We’re really looking forward to seeing what new ideas are out there at this year’s summit,” said ServeHappy founder and CEO Audrey Tanco Uy in a statement. With the theme “Disrupting Southeast Asia,” this year’s Techtonic Summit will feature talks by renowned startup founders, institutional investors, media, government and the corporate community. Among the confirmed speakers for Techtonic Summit 2018 are Senator Benigno “Bam” Aquino III, Senator Loren Legarda, Department of Information and Communication Undersecretary Monchito Ibrahim, Department of Science and Technology Undersecretary Rowena Guevara and Department of Trade and Industry Undersecretary Nora Terrado. Movers and shakers of the local tech community will also take to the stage, including Facebook Philippines Country Director John Rubio, Grab Philippines Country Manager Brian Cu, Endeavor Philippines Managing Director Manny Ayala, Zalora Philippines Managing Director Constantin Robertz, and several other local startup founders. As well, representatives of venture capital firms and innovation hubs will share their time and expertise during the summit. Some of these are Jeffrey Paine of Golden Gate Ventures, Jojo Flores of Launchgarage, Paul Meyers of muru-D Singapore, Rene “Butch” Meily of QBO Innovation Hub, Diane Eustaquio of Ideaspace Foundation Inc., Minette Navarrete of Kickstart Ventures, Wei Yun Ng of Innoven Capital and Michael Blakey of Cocoon Capital. The 2018 Techtonic Summit is being organized by QBO Innovation Hub, venture capital firm Original Pitch Venture Capital, event management and consulting agency PMCM Events Management, digital marketing agency XS by XS and branding and design agency Liquidminds Marketing Inc.
LeBron James vs Stephen Curry: Who Made More Money in the Past Year?